(Lot of 9) Transformers Automobiles Two 5" Four 2" One 4" Two 3"
Transformers Dark Of The Moon Deluxe Decepticon Soundwave Transforming Figure. 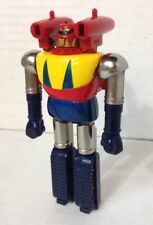 • Transform from black bear to robot in seconds. • One piece per unit. • Transform from polar bear to robot in seconds. • One piece per unit. 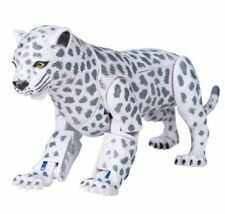 • Transform from snow leopard to robot in seconds. • Plastic material. Unmarked that I can find. There is a small wheel on each arm that when moved makes the black hand guns twirl. • Transform from tiger to robot in seconds. • One piece per unit. • Transform from elephant to robot in seconds. • Plastic material. Inspired by the Hasbro/Takara Human Alliance Soundwave. Features open door to reveal seats and front wheel. All accessory and skicker complete. 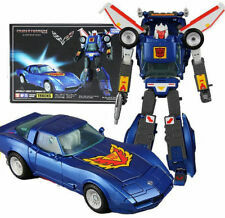 version: high quality KO Reissue. 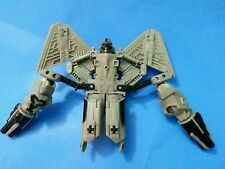 Masterpiece MP17 Autobots Prowl Action Figure Toy 5"
Size:about 33cm. Color: As the picture. (2)This is not original Edition, it made by China Manufacturers,that we call KO Edition. 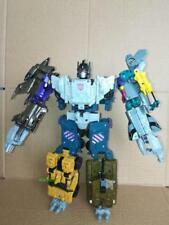 ONSLAUGHT Stand Height Is About 23CM (Main Body). Blastoff Stand Height Is About 17CM (Left Hand). Version: high qualityKO Reissue. all accessory and skicker complete. condition: new in box. Iron Factory IF-EX24X War Giant Catastrophe - Set Of 5,In stock! Iron Factory - IF EX-24X - War Giant Catatrophe - includes all 5 sets needed to form the mighty War Giant Combiner Catastrophe! War Giant Set Catastrophe Includes. Item is in good condition aside from possible minor wear. 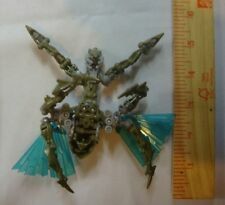 Character sea attack ravage. Material plastic.